It is hard to imagine how many troubles are brought humanity by drugs, and what else is waiting for him ahead. No reverence for the undefeated misfortune, but rather, as a tribute to those people who are trying to confront the epidemic of the century, on June 26 in all countries is the International Day against Drug Abuse and Illicit Trafficking. Why has that day? In 1987, he was approved by the UN General Assembly and represents the strengthening of human activities for the creation of a world society without drug addiction. The decision has preceded the recommendations of the International Conference on Drug Abuse and Illicit Trafficking. Then the conference adopted a great program of activities in this direction. 11 years later, in 1998, there was a special session of the UN General Assembly. Its participants set a goal for the next decade to reduce the impact of drugs on society. The United Nations has officially recognized that the drugs are taking more than 185 million people. This represents 3% of the world population and 12% of young people aged 15 to 30 years. There was wrongly taken into account the real rate of expansion of the drug epidemic: each year they become more and more threatening, as evidenced by the demographics. Drugs are becoming more “popular” among minors and adolescents, they are more and more “used” by girls and women. Drug specialists are sounding the alarm: over the three years of researches drug abuse becomes “younger” for 3-4 years, and now the average age range of drug addicts has decreased from 16-17 years to 13-14 years. 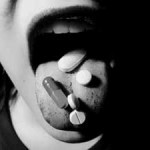 A number of women, “taking” drugs in the last decade have increased 7 times! That’s why drug addiction became known as the worst vice of this century. People are trying to escape from the stress and other problems of modern society, and more often grab the syringe with poison. When the moment of truth has come and it becomes apparent that the situation is at an impasse, many are beginning to realize that the experiment of their own destiny could have a tragic finale. Even special treatments do not always yield the desired result. After a few years of abstinence from drug use among former addicts, there is may reappear a relapse. And then the disappointment is coming: the sensations that evoke the feeling of escape from any failures and problems turn into a nightmare and void. Is it worth it after all this, to give preference to the drug, as a tool to break the deadlock? Therefore, all people and those, who experienced the horror of narcotic intoxication, and those, who are well aware of its consequences, are united in the fight against such a perfect danger that threatens all humanity – drug addiction. On this basis, there was established one day of struggle against drug addiction, it reminds mankind about this terrible disease and aims to unite for the fight against it. 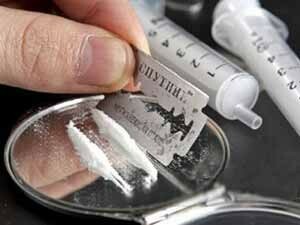 Drug abuse in the world: the struggle or an imitation? In each country, as a rule, there is an organization – the Federal Service for Drug Control. Heroin addicts live about 5-7 years. After three, maximum four years these patients have a dysfunction of any one or more organs. In addition, four out of five of these patients are HIV-positive. Currently, every third addict who applied to hospitals – is an adult at age 16, seven out of ten – young offenders. the third: “the consumer with harmful consequences”. In order to identify risk groups in schools, there is introduced a special test to identify adolescents who use drugs and psychotropic substances. There were specially designed tests, which will be completed in parallel with the thematic conversation. 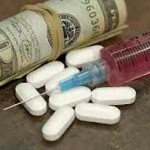 There is a single data bank of crime figurants in the sphere of drug trafficking in the world. This helps to fulfill the main task for the identification of crimes and activities to prevent and control for reducing the level of drug addiction in society. There are many sports and civil actions under the slogan “Stop Drugs!”. Especially these actions are activated before and during the days of the fight against drugs. The situation is difficult. Therefore, there are different organizations and their appearance is justified. 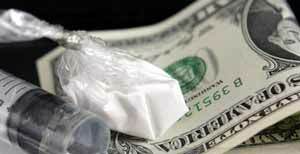 Drug trafficking is considered as the most profitable business. The arithmetic is simple: Afghan dealers are selling one kilogram of heroin to secondhand dealers in his home country for the 9000 Dollars, and in the capital of other countries, the same drugs are sold to citizens already over 150 thousand Dollars. This is how the “black market” of drug traffickers works. One of the traditional places of whitening “dirty money” – is the building and operation of shops, restaurants, cafes and markets. One-third of the profit, which is about 800 billion Dollars of annual global money turnover, is spent on bribing government officials. Analysts associate this “arithmetic” with the cancelation at the beginning of the 90 criminal and administrative responsibilities for illegal use and possession of narcotic drugs for personal use. Foreign experts call such data. There are “stuck” In Russia about 80 tons of the most ruthless and dangerous drug – heroin. This is more than three times higher than in both Canada and the United States of America, combined and twice in China. But in China, according to recent data, are more than one billion and three hundred million people. Of greater concern is women’s addiction statistics: the growth of 6-7 times. At the same time, the effectiveness of drug treatment – 3-5 people out of a hundred people suffering from drug addiction. Remedies invested in the “recovery of the addict” do not work. Analyzing the situation related to the use of drugs, it is not surprising why the contemporaries consider drug addiction as the most difficult problem in the world. 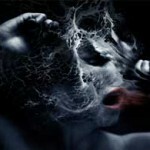 More recently, drug addiction was perceived as something alien and impossible for the Europeans. About drugs, you could read in the literature like about the events of the Civil War, post-war devastation and learn from foreign films. The situation has changed very quickly. Nowadays it is not enough angry condemnation of habit or moralizing conversations. Today it is very important the sound convincing information about the dangers of narcotic drugs, the course of the disease, the harm of painful addiction and its consequences. The main preventive work should be focused on young people. Exactly teenagers, boys, and girls are easy victims of drug dependence. Their carelessness in relation to their own health is a tragedy for friends, neighbors, and family. Total degradation of the individual, physical health complications – are the banks, along which short life of a drug addict runs. All this prevents the addict continues to communicate normally with his friends, colleagues and family members. Being caught up in criminal circles, the drug addict is escorted with++ all the vices of society, destroying his life and the lives of others. The worst thing in this entire list is that addiction by nature of the disease process is an irreversible disease. In other words, even after the medical correction there are always remain traces of the “restoration” of the disease in the body of an addict. And if a former drug addict, suddenly, “lose control” and remember the taste of “doze”, he will have to go through all the pain again. Therefore, recalling their patients, doctors do not talk about them as “recovered”, they talk about them as “inactive addicts”. How long will be an “inactivity period” depends only on the “inactive addict”. But mental disorders – are a lifelong diagnosis. 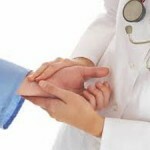 Among the doctors there are a lot of people in white coats, sincerely wanting to help the patient. Unfortunately, modern science has not yet been put into their hands the necessary tools. And if whole the world doesn’t stand against the world drug abuse and help the patient and his doctor, the problem will remain unsolved for a long time. So the International Day against Drug Abuse – is not just a date on the calendar. It is like a reminder that the struggle for the destiny of man is not complete yet.